The following image is taken from a digital collection of the University of Southern Carolina. It illustrates the contempt with which slaveowners of the day treated black individuals and families. 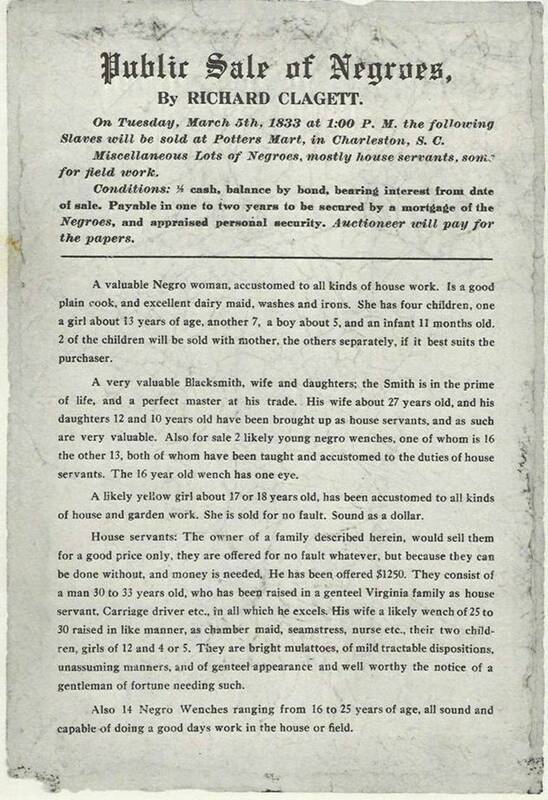 Digital collection of the University of South Carolina, at: http://digital.tcl.sc.edu/ Dimensions 30 x 21 cm, about 12" x 8".